A Nigerian prince accused of bamboozling hundreds of job seekers out of thousands of dollars by promising them high-paying gigs appeared in Manhattan court on Thursday with a special request. Osmond Eweka, 31, asked a judge in the case for permission to travel to Nigeria for the upcoming birth of his child. The judge will determine next month whether or not to approve. 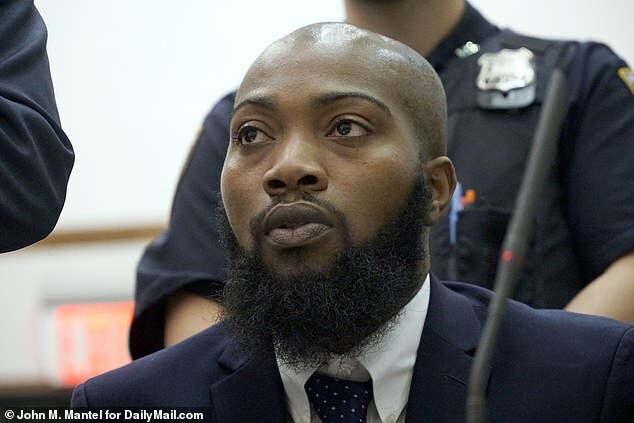 The Manhattan District Attorney’s Office said the prince and his friend, Kamel McKay, 27, pretended earlier this year to run two consulting firms in Manhattan telling clients that if they paid a fee they would be placed at various jobs across New York City. Prosecutors said some of the jobs Eweka and McKay promised their victims were for hotel housekeeping and front desk receptionists. The men used the popular job-seeking website “Indeed” to find them. According to court documents, Eweka and McKay used office space in the Empire State Building and another building on fifth avenue to run two bogus employment agency firms, Stamford Consulting Firm and Howard Consulting Group. They also used fake names, according to the New York Post. Eweka went by the name Sean Jackson and McKay reportedly used the name Tyrone Hayes. Prosecutors said they would invite their victims to their office for an interview and then have them pay a fee, ranging between $300 and $700, the Post reports. Prosecutor Catherine McCaw said they told victims the fee would cover the cost of uniforms, training and background checks. They also said that paying the high fee would result in higher-paying jobs. ‘But in reality, there was no such job,’ she said at Eweka’s arraignment on Thursday in Manhattan Supreme Court. After collecting the money, the men would send the job seekers to different businesses, where they were turned away by employers who weren’t expecting them. The victims then found that they could no longer get in contact with the alleged fraudsters or the consulting firm. According to authorities, Eweka and McKay duped 250 people and pocketed more than $54,000. Prosecutors said they never provided a single job. They ran the alleged scam from January to June 2018. Eweka is a prince from the Benin royal family in Nigeria, according to reports, and a United States citizen living in New Jersey. McKay is from the Bronx. Both men were indicted on charges of larceny and scheme to defraud. McKay was arraigned last week and released on $200,000 bail, the New York Times reported. Daily Mail reports that Eweka was in court on Thursday and pleaded not guilty to the charges. He was released without bail. In 2016, Eweka married attorney Imade Igbinedion in an elaborate wedding ceremony in Nigeria. Representatives from the Benin family told the Times they could not confirm whether Eweka was a family member because ‘it is a very large family’.